With the holidays quickly approaching, visions of dinner menus have been dancing in my head. One of my staples is a sweet potato casserole which always receives rave reviews, and I just realized I haven’t posted it. I took the traditional marshmallow-topped dish, and took it to a new level (in my humble opinion). I also decided to use canned sweet potatoes instead of fresh strictly to save on time. 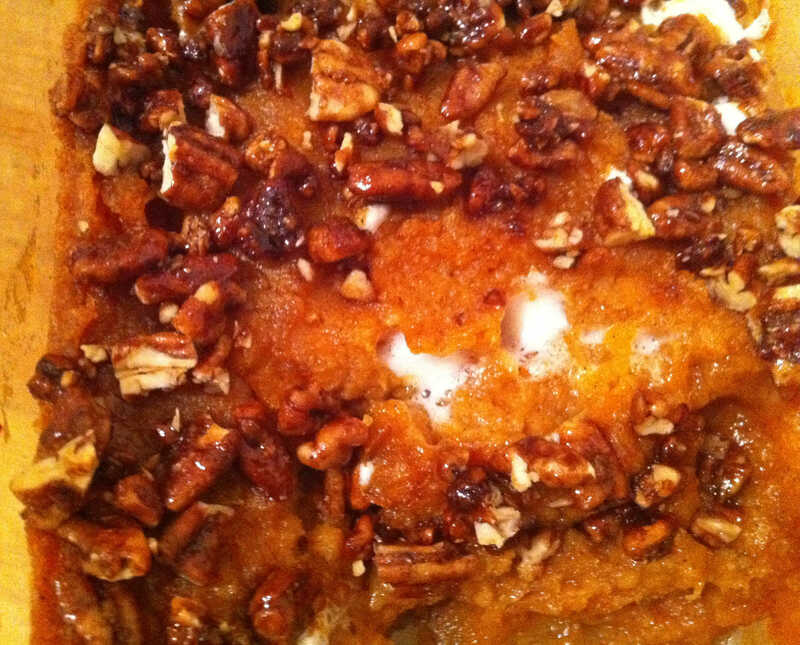 In a large bowl, mix sweet potatoes, 1/4 cup butter, egg, white sugar, oj, marshmallows, cinnamon, nutmeg and salt. Transfer to a lightly greased 9″x13″ baking dish. In a medium bowl, combine topping ingredients and mix well (using your hands) to a consistency of course meal. Sprinkle over sweet potato mixture. Bake for 30 minutes, or until topping is crisp and lightly browned. 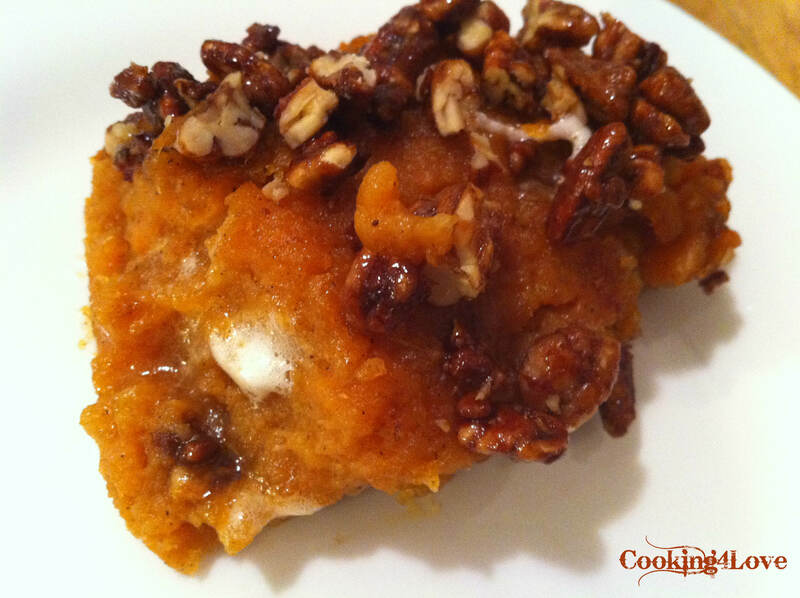 This entry was posted in Recipes, Side Dishes, Vegetarian and tagged casserole, Christmas, holiday, side dishes, sweet potatoes, Thanksgiving. Bookmark the permalink.